Owens is a member of the Country Music Hall of Fame and the Nashville Songwriters Hall of Fame. Owens was born on a farm in Sherman, Texas, to Alvis Edgar Owens Sr. and his wife, Maicie Azel née Ellington. The stretch of US Highway 82 in Sherman is named the Buck Owens Freeway in his honor. "'Buck' was a donkey on the Owens farm," Rich Kienzle wrote in the biography About Buck. "When Alvis Jr. was three or four years old, he walked into the house and announced that his name also was "Buck." That was fine with the family, and the boy's name was Buck from then on." He attended public school for grades 1–3 in Garland, Texas. His family moved to Mesa, Arizona, in 1937 during the Dust Bowl and the Great Depression. Owens co-hosted a radio show called Buck and Britt in 1945. In the late 1940s he became a truck driver and drove through the San Joaquin Valley of California. He was impressed by Bakersfield, where he and his wife settled in 1951. Soon, Owens was frequently traveling to Hollywood for session recording jobs at Capitol Records, playing backup for Tennessee Ernie Ford, Wanda Jackson, Tommy Collins, Tommy Duncan, and many others. Owens recorded a rockabilly record called "Hot Dog" for the Pep label, using the pseudonym Corky Jones because he did not want the fact he recorded a rock n' roll tune to hurt his country music career. Sometime in the 1950s, he lived with his second wife and children in Fife, Washington, where he sang with the Dusty Rhodes band. In 1958 Owens met Don Rich in Steve's Gay 90's restaurant in South Tacoma, Washington. Owens had observed one of Rich's shows, and immediately went to speak with him. Rich started to play fiddle with Owens at local venues. They were featured on the weekly BAR-K Jamboree on KTNT-TV 11. Owens' career took off in 1959, when his song "Second Fiddle" hit No. 24 on the Billboard country chart. Soon after, "Under Your Spell Again" made it to No. 4 on the charts and Capitol Records wanted Owens to return to Bakersfield, California. Owens tried to convince Rich to go with him to Bakersfield, but to no avail. Rich opted to go to Centralia College so that he could become a music teacher while tutoring and playing local venues, but after a year of college, he decided to drop out and join Owens in Bakersfield in December 1960. "Above and Beyond" hit No. 3. On April 2, 1960, he performed the song on ABC-TV's Ozark Jubilee. In early 1963, the Johnny Russell song "Act Naturally" was pitched to Owens, who initially didn't like it, but his guitarist and long time collaborator, Don Rich, enjoyed it and convinced Owens to record it, which he did with the Buckaroos, on February 12, 1963. It was released on March 11 and entered the charts of April 13. By June 15 the single began its first of four non-consecutive weeks at the No. 1 position. It was Owens' first No. 1 hit. The Beatles later recorded a cover of it in 1965, with Ringo Starr as lead singer. Ringo Starr later re-recorded the song as a duet with Owens in 1988. The 1966 album Carnegie Hall Concert was a smash hit and further cemented Buck Owens and the Buckaroos as more than just another honky tonk country band. They achieved crossover success on to the pop charts. During that year, R&B singer Ray Charles released cover versions of two of Owens' songs that became pop hits: "Crying Time" and "Together Again". In 1967, Owens and the Buckaroos toured Japan, a then-rare occurrence for a country musician. The subsequent live album, appropriately named Buck Owens and His Buckaroos in Japan, was an early example of country music recorded outside the United States. In 1968 Owens and the Buckaroos performed for President Lyndon Baines Johnson at the White House, which was later released as a live album. Between 1968 and 1969, pedal steel guitar player Tom Brumley and drummer Willie Cantu left the band and drummer Jerry Wiggins and pedal steel guitar player Jay Dee Maness were added. Owens and the Buckaroos had two songs reach No. 1 on the country music charts in 1969, "Tall Dark Stranger" and "Who's Gonna Mow Your Grass". In 1969, they recorded a live album, Live in London, where they premiered their rock song "A Happening In London Town" and their version of Chuck Berry's song "Johnny B. Goode". During this time Hee Haw, starring Owens and the Buckaroos, was at its height of popularity. The series, originally envisioned as country music's answer to Rowan & Martin's Laugh-In, outlived that show and ran for 231 episodes over 24 seasons. Creedence Clearwater Revival mentioned Owens by name in their 1970 single "Lookin' Out My Back Door". Also between 1968 and 1970, Owens made guest appearances on top TV variety programs, including The Dean Martin Show, The Ed Sullivan Show, The Jackie Gleason Show and seven times on The Jimmy Dean Show. In the early 1970s, Owens and the Buckaroos enjoyed a string of hit duets with his protege Susan Raye, who subsequently became a popular solo artist with recordings produced by Owens. In 1971, the Buckaroos' bass guitarist Doyle Holly left the band to pursue a solo career. Holly was known for his solo ballads with his trademark booming deep voice on Buck Owens and the Buckaroos albums. His departure was a setback to the band, as Doyle had received the Bass Player of the Year award from the Academy of Country Music the year before in 1970 and served as co-lead vocalist (along with Don Rich) of the Buckaroos. Holly went on to record two solo records in the early 1970s, both were top 20 hits. Owens and Rich were the only original members left of Buck Owens and the Buckaroos, and in the 1970s they struggled to top the country music charts. However, the popularity of Hee Haw was allowing them to enjoy large crowds at indoor arenas. In 1972, Owens and the Buckaroos finally had another No. 1 hit, "Made in Japan", after three years of not having a number one song. In April, he added pedal steel guitarist, Jerry Brightman. The band had been without pedal steel since late in 1969 when Maness departed, and Owens returned to his grass roots sound of fiddle, steel, and electric guitars releasing a string of singles including "Arms Full of Empty", "Ain't it Amazing Gracie" and "Ain't Gonna Have Ole Buck (to Kick Around no More)". Owens' original release of "Streets of Bakersfield" was released in 1972. On July 17, 1974, Owens' best friend and Buckaroos guitarist Don Rich was killed when he lost control of his motorcycle and struck a guard rail on Highway 1 in Morro Bay, where he was to have joined his family for vacation. Owens was devastated. "He was like a brother, a son and a best friend," he said in the late 1990s. "Something I never said before, maybe I couldn't, but I think my music life ended when he died. Oh yeah, I carried on and I existed, but the real joy and love, the real lightning and thunder is gone forever." Owens would never fully recover from the tragedy, neither emotionally nor professionally. Before the 1960s were done, Owens — with the help of manager Jack McFadden — began to concentrate on his financial future. He bought several radio stations, including KNIX-AM (later KCWW) and KNIX-FM in Phoenix and KUZZ-FM in Bakersfield. During the 1990s, Owens was co-owner of the country music network Real Country, which Owens owned station KCWW was the flagship station of. In 1998, Owens sold KCWW to ABC/Disney for $8,850,000 and sold KNIX-FM to Clear Channel Communications, but he maintained ownership of KUZZ until his death. Owens established Buck Owens Enterprises and produced records by several artists. He recorded for Warner Bros. Records, but by the 1980s he was no longer recording, instead devoting his time to overseeing his business empire from Bakersfield. He left Hee Haw in 1986. We sat there that day in 1987 and talked about my music to that point, my short career, and what I'd been doing and how he'd been watching me. I was really flattered and thrilled to know that this legend had been keeping an eye on me. Owens also collaborated with Cledus T. Judd in the song "The First Redneck On The Internet" in 1998, in which Owens also appears in the music video. The 1990s saw a flood of reissues of his Capitol recordings on compact disc. In 1974, Owens had bought back publishing rights to all of his Capitol recordings, as part of his final contract with the label. His albums had been out of print for nearly 15 years, when he released a retrospective box set in 1990. Encouraged by brisk sales, Owens struck a distribution deal with Sundazed Records of New York, which specializes in reissuing obscure recordings. The bulk of his Capitol catalog was reissued on CD in 1995, 1997 and in 2005. Sometime in the 1970s, Owens had also purchased the remaining copies of his original LP albums from Capitol's distribution warehouses across the country. Many of those records (still in the shrinkwrap) were stored by Owens for decades. He often gave them away as gifts and sold them at his nightclub for a premium price some 35 years later. In August 1999, Owens brought back together the remaining members of his original Buckaroo Band to help him celebrate his 70th birthday at Owens' Crystal Palace in Bakersfield. All the original surviving Buckaroos were there: Owens, Doyle Holly, Tom Brumley, and Wille Cantu performed old hits from their heyday including "Tiger by the Tail" and "Act Naturally." Owens was inducted into the Country Music Hall of Fame in 1996. He was ranked No. 12 in CMT's 40 Greatest Men of Country Music in 2003. In addition, CMT also ranked the Buckaroos No. 2 in the network's 20 Greatest Bands in 2005. Long before Owens became the famous co-host of Hee Haw, his band became known for their signature Bakersfield sound, later emulated by artists such as Merle Haggard, Dwight Yoakam and Brad Paisley. Buck inspired indie country songwriter and friend Terry Fraley whose band "The Nudie Cowboys" with a similar sound. This sound was originally made possible with two trademark silver-sparkle Fender Telecaster guitars, often played simultaneously by Owens and longtime wing-man Don Rich; Fender had made a "Buck Owens signature Telecaster," and after his death paid tribute to him. In 2003, Paisley blended creative styles with this guitar and his own famous Paisley Telecaster, creating what became known as the Buck-O-Caster. Initially, only two were made; one for Paisley himself and the other presented to Owens during a New Year's celebration that Paisley attended in 2004. Following the death of Rich, Owens' latter trademark was a red, white and blue acoustic guitar, along with a 1974 Pontiac convertible "Nudiemobile", adorned with pistols and silver dollars. A similar car, created by Nudie Cohn for Elvis Presley and later won by Owens in a bet, is now enshrined behind the bar at Owens' Crystal Palace Nightclub in Bakersfield. Owens would hand out replicas of his trademark acoustic guitar to friends, acquaintances and fans. Each would contain a gold plaque with the name of the recipient. Some of these guitars cost $1000 and up. 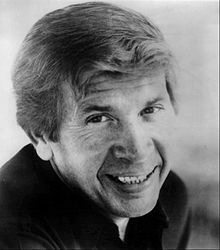 Buck Owens died in his sleep of an apparent heart attack on March 25, 2006, only hours after performing at his Crystal Palace restaurant, club and museum in Bakersfield. He had successfully recovered from oral cancer in the early 1990s, but had additional health problems near the end of the 1990s and the early 2000s, including pneumonia and a minor stroke suffered in 2004. These health problems had forced him to curtail his regular weekly performances with the Buckaroos at his Crystal Palace. The Los Angeles Times interviewed longtime Owens spokesman (and Buckaroos keyboard player) Jim Shaw, who said Owens "had come to the club early and had a chicken fried steak dinner and bragged that it's his favorite meal." Afterward, Owens told band members that he wasn't feeling well and was going to skip that night's performance. Shaw said a group of fans introduced themselves while Owens was preparing to drive home; when they told him that they had traveled from Oregon to hear him perform, Owens changed his mind and took the stage anyway. Shaw recalled Owens telling the audience, "If somebody's come all that way, I'm gonna do the show and give it my best shot. I might groan and squeak, but I'll see what I can do." Shaw added, "So, he had his favorite meal, played a show and died in his sleep. We thought, that's not too bad." The front of the mausoleum where Owens is interred is inscribed "The Buck Owens Family" with the words "Buck's Place" beneath. Owens was married four times, three ending in divorce and one in annulment. He and his first wife, country singer Bonnie Campbell Owens, were married in 1948 and had two sons. They separated in 1951 and later divorced. He later married Phyllis Buford in 1956, with whom he had a third son. His third marriage, in 1977, was to fiddle player Jana Jae Greif, who was a member of the Buckaroos. They were married for only a few days before he filed for annulment. His fourth marriage, in 1979, was to Jennifer Smith. Owens had three sons: Buddy Alan (who charted several hits as a Capitol recording artist in the early 1970s and appeared with his father numerous times on Hee Haw), Johnny, and Michael Owens. In November 2013, Buck Owens' posthumous autobiography, "Buck 'Em! The Autobiography of Buck Owens" by Buck Owens with Randy Poe, was released. The book has a foreword by Brad Paisley and a preface by Dwight Yoakam. In her 2010 book, Buck Owens: The Biography, investigative journalist Eileen Sisk offers a critical account of Owens and the shortcomings in his private life. In her 2007 authorized biography, Buck, historian Kathryn Burke gives a positive account of Owens. Vocalist–guitarist Johnny Rivers performed a rock version of Owens's "Under Your Spell Again", for his album Meanwhile Back at the Whiskey A GoGo, in 1965. Country music singer Emmylou Harris recorded a version of Owens's "Together Again", which was released on her 1976 album Elite Hotel. The Beatles and, later, Ringo Starr recorded versions of "Act Naturally". The Beatles recorded the song in 1965, two years after Owens released it. Starr recorded it as a duet with Owens which received a nomination for the Grammy Award for Best Country Vocal Collaboration in 1989. After his death in 2006, a medley was played by the Buck Owens All Star Tribute, which included Billy Gibbons, Chris Hillman, Brad Paisley and Travis Barker. Country artist Dwight Yoakam has cited Owens as an early influence in his career, and recorded several of Owens's songs for himself. He was also collaborator and duet artist with Owens on the song "Streets of Bakersfield", originally recorded by Owens in 1973. In 2007, Yoakam released a tribute album, Dwight Sings Buck. Mark Lanegan included a cover of "Together Again" on his 1999 cover album, I'll Take Care of You. Cake covered "Excuse Me (I Think I've Got a Heartache)" on its album B-Sides and Rarities. In 2007, Austin-San Marcos, Texas band The Derailers released Under The Influence of Buck, which featured 12 covers of Owens songs, including "Under the Influence of Love". In 2011, Ben Gibbard covered "Love's Gonna Live Here". In 2011, country singer and songwriter Brad Paisley covered "Tiger by The Tail" for his studio album, This is Country Music. ^ "Full List of Inductees". Country Music Hall of Fame. Archived from the original on June 18, 2013. Retrieved July 20, 2013. ^ "Ancestry of Buck Owens". Wargs.com. Retrieved August 12, 2016. ^ "buckowens.com". Buck Owens' Crystal Palace: About Buck. Archived from the original on June 15, 2006. Retrieved March 28, 2006. ^ "About Buck Owens". Country Music Television. Archived from the original on January 15, 2014. Retrieved September 18, 2014. ^ Burke, Kathryn. Buck. BookSurge, 2007, p. 24. ^ Burke, Kathryn. Buck. BookSurge, 2007, p. 42-43. ^ Burke, Kathryn. Buck. BookSurge, 2007, p. 44. ^ Burke, Kathryn. Buck. BookSurge, 2007, p. 64-68. ^ Burke, Kathryn. Buck. BookSurge, 2007, p. 80. ^ "buckowens.com". Buck Owens Collection. Archived from the original on February 16, 2006. Retrieved March 30, 2006. ^ Back to Buck by Chris Neal, Country Weekly, Nov. 19, 2007, p. 43. ^ "Buck Owens, 1929-2006; Farewell to a legend, an innovator and a dear friend..." Fender. Archived from the original on February 24, 2012. Retrieved October 1, 2009. ^ Lewis, Randy (March 26, 2006). "Singer Found Gold and Inspiration in California". Los Angeles Times. ^ Buck - Kathryn Burke - Google Boeken. Books.google.com. Retrieved July 20, 2013. ^ "Ben Gibbard Brings Out Bob Mould, Covers Buck Owens at Noise Pop". Spinner. February 28, 2011. Retrieved July 20, 2013. Fenster, Mark. (1998). "Buck Owens". In The Encyclopedia of Country Music. Paul Kingsbury, Ed. New York: Oxford University Press. pp. 399–400. Credence Clear Water Revival refers to Buck Owens in the first verse of their song “Lookin’ Out My Back Door”. Wikimedia Commons has media related to Buck Owens. "Excuse Me (I Think I've Got a Heartache)"
"My Heart Skips a Beat"
"I Don't Care (Just as Long as You Love Me)"
"Only You (Can Break My Heart)"
"Waitin' in Your Welfare Line"
"Where Does the Good Times Go"
"How Long Will My Baby Be Gone"
"Who's Gonna Mow Your Grass"
The Buck Owens' Buckaroos Strike Again! "I'm Coming Back Home to Stay"
This page was last edited on 13 March 2019, at 19:14 (UTC).